Hired & non-owned auto insurance is a highly misunderstood coverage and as a result, often gets put at the bottom of the insurance coverage priority list. Hired and non-owned auto insurance provides coverage for bodily injury and property damage losses caused by vehicles you don’t own, vehicles you lease, hire, rent, and/or borrow, but are used for business operations. For this discussion, we are going to focus on coverage for vehicles not owned by your organization but used for your operations. Typically, these vehicles are personally owned by employees and volunteers—in other words, non-owned auto. If there’s an accident in any of these circumstances, then your organization can be held responsible and sued for damages. Auto liability claims can have a significant impact on your bottom line. Hired and non-owned auto liability coverage can help absorb potential financial losses and protect your business. Hired & Non-Owned Auto Liability Coverage is for vehicles owned by employees or volunteers and covers injuries to other people and damage to other people’s property. This is coverage in addition to the coverage an employee or volunteer may already have on their vehicle. It does not cover damage to the vehicles owned by your employees or volunteers, only liability. In the event your organization is in any way responsible for an accident, a driver’s own auto insurance will be responsible for any claims. 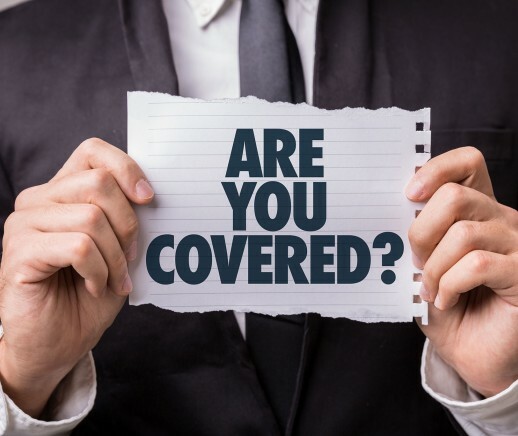 However, if the claims are more than the liability coverage limits that the individual has on their personal auto policy, then your non-owned auto insurance could kick in to pay the remainder of the claim. In other words, the employee or volunteer auto insurance triggers first. The Executive Director of an organization was driving to the bank in their own vehicle to drop off some paperwork for a business loan. She was in a hurry and sped through a yellow light. A car turned in front of her and she hit the driver’s side of the oncoming vehicle. This collision resulted in considerable damage to both vehicles and severe injuries to the other driver. The injured driver sued the Executive Director and the organization for the damage to his vehicle and his injuries. Because the Executive Director was driving for business, the organization would be responsible for the damages caused by the accident. The total claim was $450,000 including the associated legal fees. Auto claims are by far the most frequent type of claim we see, and auto claims involving injury can be quite large. All organizations have some type of driving associated with their mission and general operations. If an organization is deemed in any way responsible for an auto accident, even a small claim can quickly eat up the organization’s reserves and as we’ve seen, a small expenditure for the coverage more than compensates for the potential risks. Make sure that you include non-owned auto insurance as part of your organization’s risk management arsenal. Posted in All Accreditation, Board of Directors, Risk Management, Volunteer Management and tagged Accreditation, Board of Directors, Insurance, nonprofit, Risk prevention.